Pittsburgh Steelers left tackle Alejandro Villanueva has the most popular jersey on the NFL shop after being the only player from his team to enter the field and stand for the national anthem on Sunday, TheWrap has learned. The player’s number 78 jersey was the top-seller over the last 24 hours, which it was not prior to Sunday’s game. Villenueva broke with his teammates on Sunday when he unintentionally stood during the national anthem. The Steelers were one of several teams who pledged to remain in the locker room ahead of the game in light of President Trump’s comments about NFL players who knelt during the national anthem to protest the treatment of African Americans. Villenueva, a military veteran, stepped out of the tunnel to get a better vantage point to see the flag during the ceremony and inadvertently went too far. He later explained in a press conference that it wasn’t his intention to make it appear as though he was setting himself apart from the rest of his team. 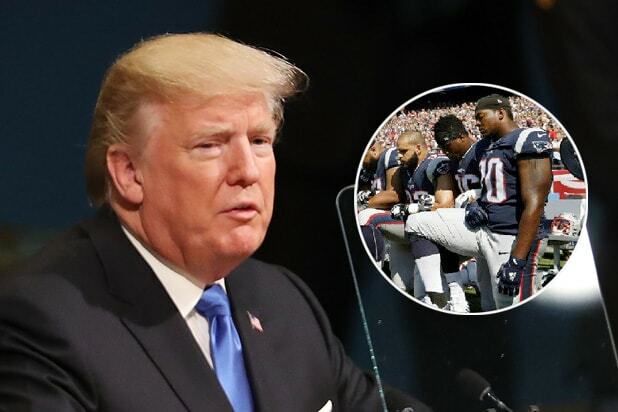 His remarks were in reference to NFL players like former San Francisco 49ers quarterback Colin Kaepernick who kneel during the national anthem to protest police brutality. 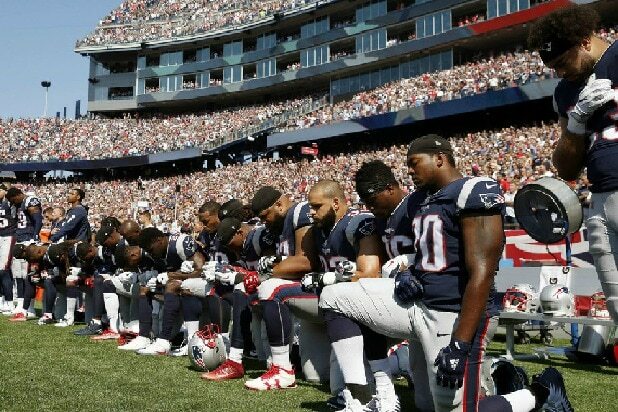 In response, several NFL teams chose to remain in their locker rooms or kneel during the song before the NFL games on Sunday.